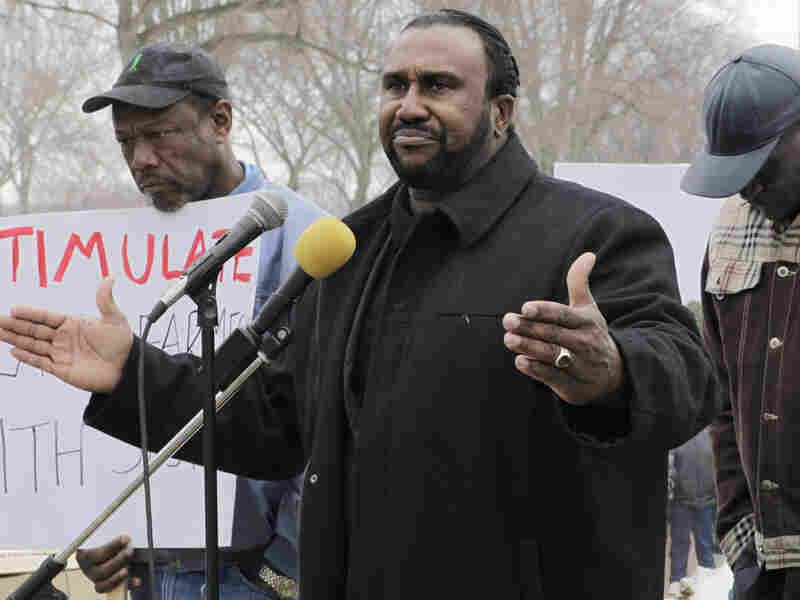 Sherrod Debacle Frustrates Black Farmers The firing of Shirley Sherrod by the Department of Agriculture has reopened a sore spot with many African-American farmers who have been charging the USDA with discrimination for years. In fact, the USDA still faces thousands of discrimination lawsuits by minorities. John Boyd (center), president and founder of the National Black Farmers Association, says black farmers have been systematically denied loans and treated unfairly by the Department of Agriculture for years. In February, he and other black farmers gathered at the Agriculture Department in Washington to urge settlement of a class-action lawsuit. The firing of Shirley Sherrod by the Department of Agriculture has reopened a sore spot with many African-American farmers who have been charging the USDA with discrimination for years. In fact, the USDA still faces thousands of discrimination lawsuits by minorities. Congress approved a billion-dollar settlement for a group of black farmers during the Clinton administration. A second settlement, covering those left out of the first agreement, has been approved but not yet funded by Congress. "I was very sensitive and remain sensitive to the civil rights issues involving this department," he said. "When you're dealing with tens of thousands of claims, it is something that needs to be resolved, that hasn't been resolved and must be resolved." Those tens of thousands of claims come from minority farmers, mostly blacks, but also Latinos and women. They charge that they've been discriminated against over the years by the USDA, denied timely loans to buy seeds and equipment -- loans that were granted to white farmers. "This is what we call the last plantation," said John Boyd, president of the National Black Farmers Association. "It's the last federal arm in this country to integrate, the United States Department of Agriculture. They filed lawsuits in federal court to prevent black workers from coming to work once they integrated. That's the history of the United States Department of Agriculture." Boyd traveled from his farm in Virginia's Mecklenburg County to the Capitol to lobby Congress. In 1994, he was denied loans by a USDA agent in Richmond, Va., by the name of James Garnett. "He was found guilty of discrimination, and he kept his job," Boyd said. "When I watched that thing with Miss Sherrod on television, I said, 'Look how fast they got rid of her when the allegation was her discriminating against a white farmer.' And when Mr. Garnett spit on me, tore my application up ... nothing happened. "So that can be very frustrating for a black person who's been out here 26 years fighting discrimination." In 1999, the government agreed to a class action settlement of more than $1 billion for African-American farmers. Some 16,000 farmers, including Boyd, received a share of the money. But tens of thousands of others who filed claims later were denied. Two years ago, Congress agreed to fund another settlement. But they didn't appropriate the money. The House has acted twice this year to set aside the funds, most recently in a bill funding the wars in Iraq and Afghanistan. But the Senate has refused to go along. "I'm frustrated," Boyd said Thursday. "I'm frustrated that I'm still begging for votes in the Senate for something that should have been done years ago. And I'm frustrated to see this country -- the country that we live in -- we still have not overcome race relations in this country." In Oklahoma City, Okla., Willard Tillman was at the farmers market, where he had taken some of his produce to sell: "Watermelons, cantaloupes, squash, greens, cabbage, tomatoes, okra." Tillman is also waiting for the second settlement to get funded. He says that the money will come too late for some black farmers. "A lot of the people that are deserving of this have died, man, have died," he said. "They will never receive any of the benefits or receive the justice that they needed to have during their lifetime." Tillman hopes the attention paid to the Sherrod episode will lead Congress and the Obama administration to come up with the money to settle the discrimination suits. Agriculture Secretary Vilsack says he has been working with the Senate to come up with the funds, and hopes it gets done quickly.